Gardner Sorting Conveyors carry soil goods at a predetermined rate of speed to operators who are sorting the items into categories of classified goods, such as sheets, towels, etc. As the operators sort, the items are tossed into Gardner Weigh Carts, Gardner Sort Weigh Chutes, or Gardner Piece Count Light Frames, whichever is appropriate for the situation. The operators stand on a platform, and the conveyor is at a convenient height to provide efficient ergonomics to reduce the sorters’ fatigue. 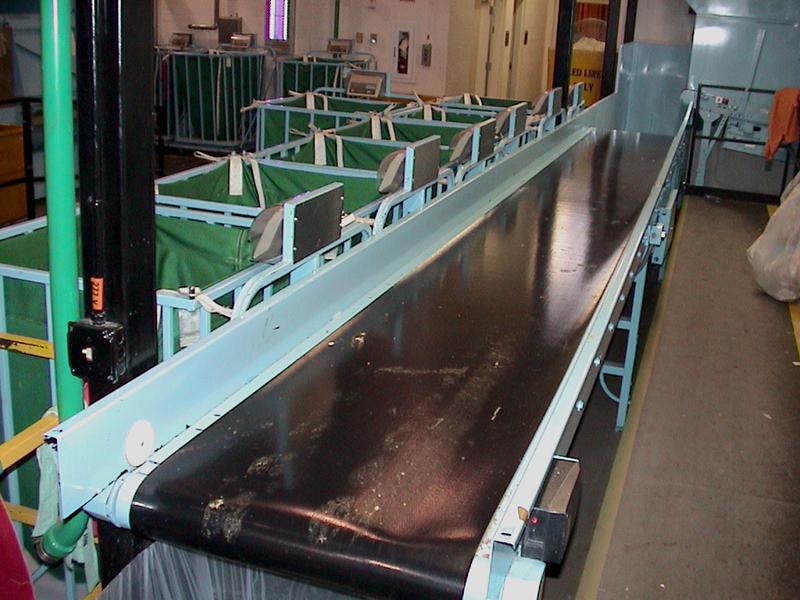 A photoeye stops the conveyor if there is any overflow of items to be sorted.